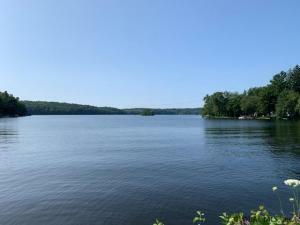 A wonderful opportunity to purchase a large tract of land - possibly sub-dividable - located on coveted Cotton Point and Basin Bay near exciting Bolton Landing. 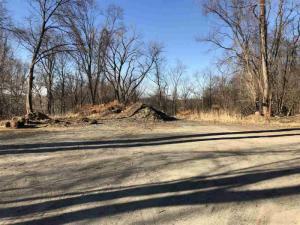 Furthermore the lot has lake access and the possibility of a single pier dock accommodating 1-4 boats pending Lake George Park Associate regulations and approvals. The level waterfront and amazing northern exposure panoramic views of Basin bay and the Narrows is spectacular. Come take a look!!! High visibility development parcel. New clean fill provides nice grade off main road. Multiple commercial permitted uses. 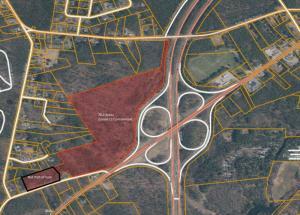 Over 19 acres of Commercially zoned land just off I-87 Exit 21. 1 BLDG LOT, OK FOR DRIVE THRU, LT COMM, INS, FIBER OPTIC AVAIL, ZONED RURAL HAMLET(COMM) CAN BE SOLD W/737-739 DELAWARE & 743-745 DELAWARE AV, OWNER FINANCING, ALL UTIL @ STREET. The best commercial location in the heart of Downtown Schoharie. Approved and ready to go! Former supermarket at location. Much needed 63000 SF shopping center Schoharie Commons + 10,000 SF freestanding building to be built. Public water & sewer. Super corner lot location. Needs a supermarket, drugstore, laundromat, liquor store, fastfood, pub. 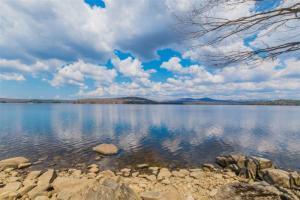 Would you like a view of Lake George and still enjoy the sounds of nature. This two parcel 35 acres does exactly that. It's close to Sagamore Golf Course, beaches and marinas. These Two Parcels tax map 156-1-47 and 156-1-45.32 are to be sold together. The property has a shared driveway, a private building lot already cleared for your building plans. This is a great opportunity with many possibilities for development as it is a highly visible and highly trafficked area. It includes 4 tax parcels-25.-1-2.111, 25.-1-2.2, 189.-1-26, and 189.-1-29. The southern end of the property has water and sewer available. BEAUTIFUL PREMIER RESIDENTIAL BUILDING LOT located in Malta. Great potential property with endless possibilities for investors & first time home owners. Conveniently located but, still offers that privacy and space you want. Dont dream to long..Build your vision in this amazing location that offers peace & convenience- The perfect combination! 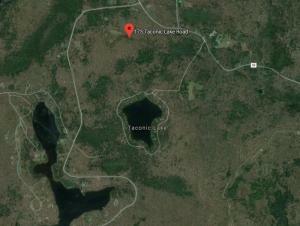 Very private building lot with lake access on two sides - one with 163 feet along the open Lake and the other with 206 feet on a protected bay. Located directly across from Turtle Island - an easy swim. Fantastic Opportunity for Moreau Development! 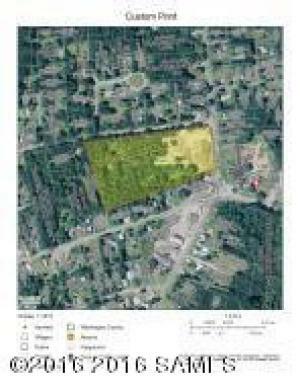 17 Acre parcel situated near Moreau Rec Park. Very desirable location. A large barn is on the property as well several old out buildings. This property was part of an old farm. !2.5 Acre plot across the road could be purchased too! 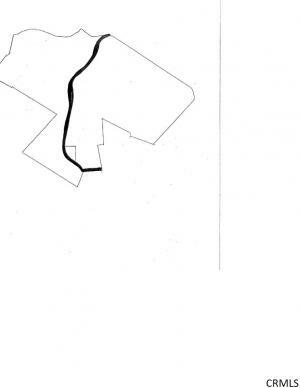 Proposed subdivision with 20 lots (not approved). Some site work done, ponds in place for water drainage. 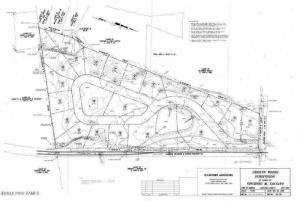 Subdivision plans and survey available. Contact agent for more information. 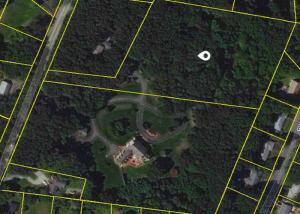 Beautiful acreage in the Guilderland School District with many possibilities. 35% wooded. Build your dream home or subdivide. 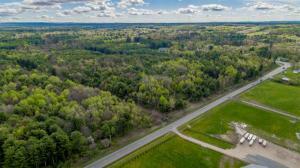 106 Acres in fantastic East Greenbush location. Just a short distance from new Van Rensselaer Shopping Center. Map for proposed 32 unit subdivision available. 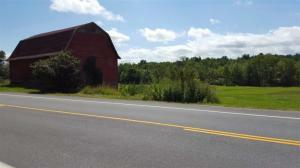 Vacant Land located just South of Rt 67, about 1.5 miles from I87. This property sits in the growing neighborhood of Malta, and has everything you are looking for, for your next re-development project. Documents associated with building, surveys, plot map and potential proposed site development plan available upon request. 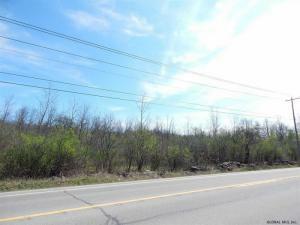 Call Rachel today for your special tour of this 3.64 acre land and its prime location in Saratoga County. 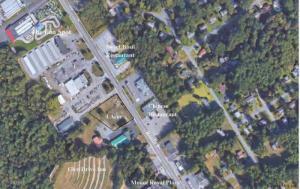 Commercial zoned for auto dealership/C-1 & C- frontage 260' on Route 9. 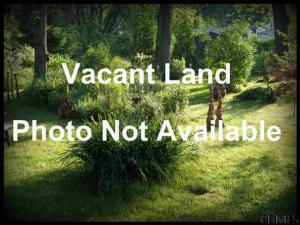 Value in Land great corner with water, sewer, gas plus barn and Duplex. H332956 Paradise awaits! 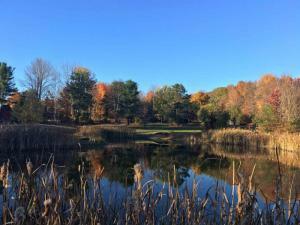 Wooded, private , three waterfalls on property, two ponds. Plenty of road frontage, views galore. 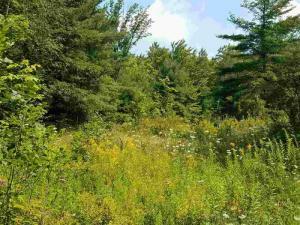 Perfect for developer that wanted to offer homeowners the natural beauty this land has to offer. Huge garage on property. Contact LA for other info. Gate for access opposite Staats Island Road. 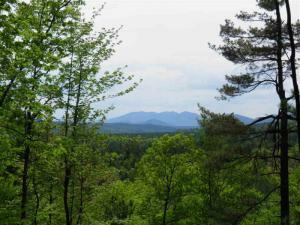 This large and beautiful parcel of land is located within the Adirondack Park, and borders Warren County. 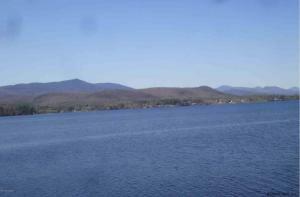 It extends northerly to the Sacandaga River, features private water frontage and gorgeous mountain views. Zoned low intensity use. Southerly the property extends below Antone Mt Rd, zoned rural use. Property is sub-dividable and lies within the APA jurisdiction. Drone aerials and more photos coming soon. One of the few remaining vacant lots left on the East Side. Walk to the track or downtown. Listing Courtesy of: Racing City Realty Inc. The location of this property is close to hospital, downtown, schools, movie theater. 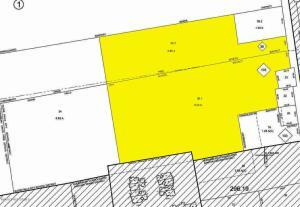 You could purchase it as one lot, two lots or subdivide into three lots. Water is onthe street and sewer connection. Great in town opportunity. 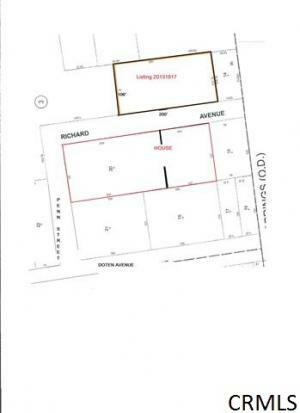 Commercial building lot Zoned M1. Parcel is just under 1 acre. Great location. High visibility from 30A. Deed restriction/covenant prohibits sale to financial institution. Total of 3 parcels. 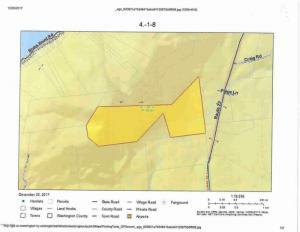 2.5 acres on Groff Road SBL 46.-4-5, and 8.6 acres on Groff Road (rear)46.-4-6. 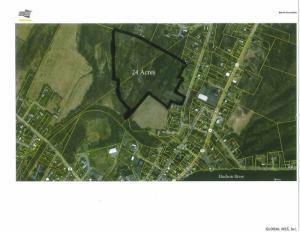 Total of 46.6 acres, ideal commercial property. Property is treed. 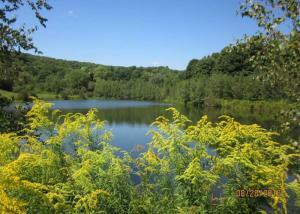 Extremely rare opportunity to purchase 3.59 acres on highly desirable Ballston Lake! Lot includes approximately 350' of lake frontage and is incredibly private (can barely see other houses). Located in Burnt Hills-Ballston Lake schools and has easy access to the Northway! Build your dream home and enjoy fishing, swimming and boating- yes motorboats are allowed! Public sewer likely coming through in 2019. No subdivision of this property allowed. Contact listing agent for details/directions. 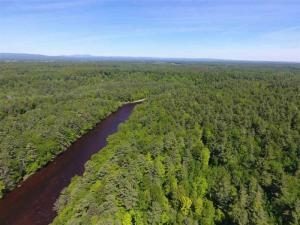 610 acres offering long stream frontage, merchantable timber, scenic beaver ponds, and attractive spruce, pine and hardwood forests. 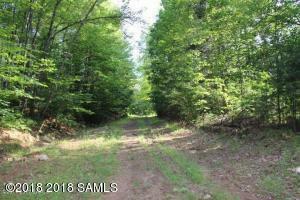 This is a versatile outdoor property tucked in the rolling foothills of northern Saratoga County and just a short 15 minute drive to Great Sacandaga Lake. 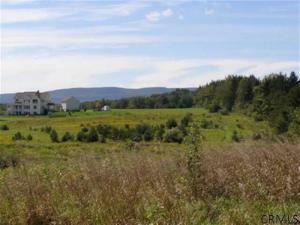 This property is situated 45 minutes north of Saratoga Springs and an hour north of the Capital District. Its a smart land and timber investment and can generate immediate harvest revenue. Contact listing agent for more details. Great location on main artery with high traffic count. This is parcel would be perfect for a number of businesses. Give us a call and we'll be happy to help you. 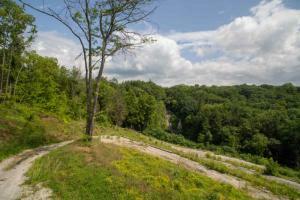 Come build your dream home on this beautiful and private land. Property mostly cleared of trees yet bordered on all sides by large mature trees that provide a good site barrier. 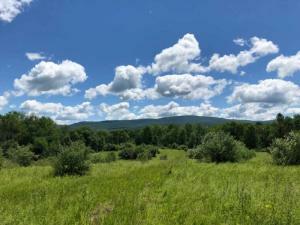 Gives you an option of building on the upper portion of the property for a panoramic far reaching view of the Taconic Mountain range or building on the lower easterly portion that runs along the Roeliff Jansen Kill for over 1/2 mile. Less than 2 hours from NYC close to Hudson, Millerton, Copake, Hillsdale, and Great Barrington, MA. The "Dam" Waterfront Retreat! 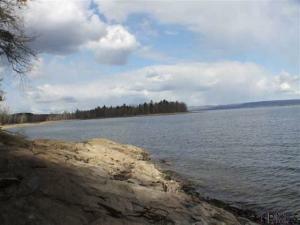 Extraordinary opportunity to own a remarkable 11 acres of land along the Hudson River with LIMITED boat traffic! This property is truly magical, listen to the sounds of the water flowing over the dam, kayak, fish, camp, all on your private paradise! The parcel hosts a small off the grid camp - leave it as a guest experience and build your dream home above, or continue using like current owners have. Be one with nature, a different kind of living! 18 mins to Saratoga Springs. 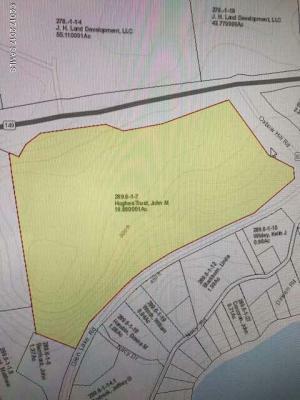 Prime Building Lot located on busy RT.30A and Harrison St.
Approved Ready to build. 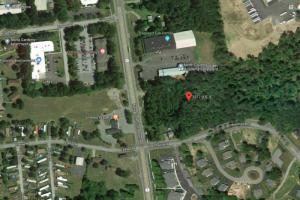 2.25 Acre lot in existing office park, parking lot is in and water and sewer is ready to connect, this lot is approved for a 4800 sq ft low rise office, medical, legal or professional. Owner would consider a build to suit, or land lease as well. This is perfect for a medical practice looking to expand into Clifton Park. 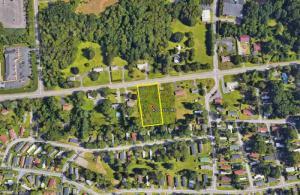 Rare opportunity to build in Saratoga Springs. Ideal location on Ward Street, close to the track and all that Saratoga has to offer. Two parcels, being sold separately as well. 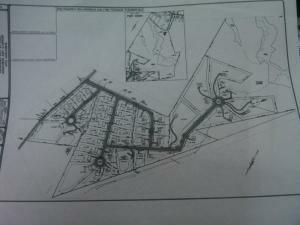 Subdivision Plan available to view. 159.1 Prime agriculture land. 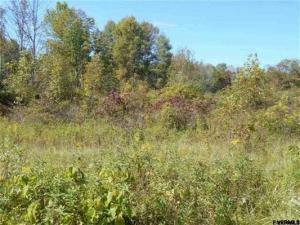 67.2 acres of tillable land with 91.9 acres of mixed hardwood that has never been logged. Stream that runs year round. There are 2 lots being sold together. 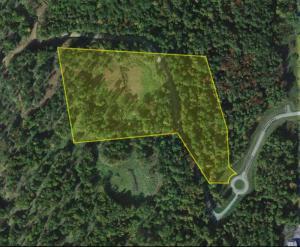 19.2 acre lot and 139.9 acre lot totaling 159.1. Build your home on the small parcel and use the large parcel for farming, hunting, or recreational use. Minutes to I-90 for easy commuting. 67 + acres mostly cleared in top rated East Greenbush school district. Substantial engineering work completed with approvals for 38 lots. Public water located less than 1000' from property. Sewer can also be brought to property. Property recently cleared. Call agent direct for more information. 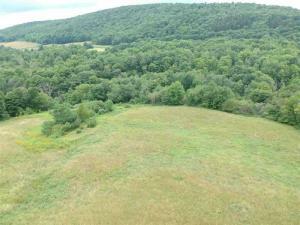 A 175 acre hilltop parcel just outside of Cobleskill, with great views and over 6000 ft. of road frontage. 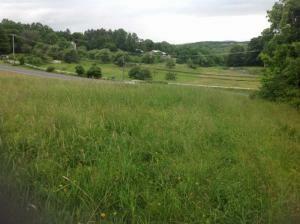 This land, which includes 158 acres in the town of Cobleskill and Approx. 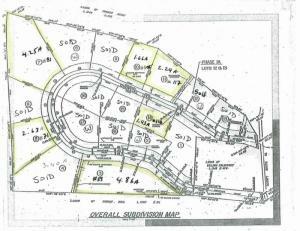 17 acres in the town of Seward ( 55-1-2 and 55-4-5 ), is ideal for a large lot subdivision. Owner financing is available to qualified buyers. 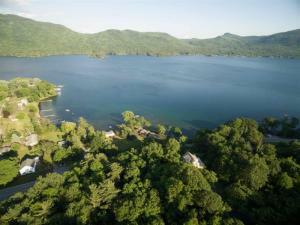 Rare opportunity to build your dream home,in the popular Silver Bay Area,w/ inspiring direct views of Lake George&mountains.Private beach,w/126 ft of waterfrontage.Previously the Hiawatha house in the 1930s,a popular place to honeymoon because of location&extraordinary views.Structure is not habitable&the property should be viewed as a building lot. 3 acres of privacy,&the original structure boasting over 6000 ft.² w/tennis court&basketball court,this property can soon become your stunning lakeside estate! 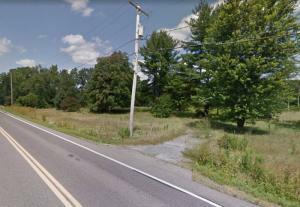 116 +/- acres of vacant land is comprised of 32 +/- acres on Old Gale Hill Road and 84+/- acres on Wadsworth Hill & Old Gale Hill Road in New Lebanon, NY which is being sold as one whole parcel. 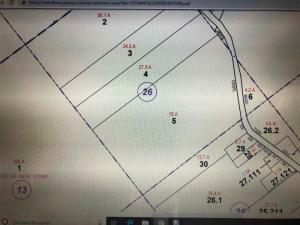 Seller has an older subdivision plan. The vacant land is beautiful and private superb for recreation, hunting and building your dream home in a serene and natural setting. Close to Hand Hollow Conservation area and Queechy Lake rights. Berkshire amenities 15 min., Hudson 30 min., Albany 20 min. Pittsfield 15 min. Over 138 pristine acres to do as you please. Hunt, play or build. 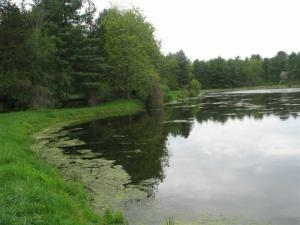 Ponds, streams and wetlands make this property a haven for the outdoor enthusiast. Can be purchased as a whole or individual lots. Proposed subdivision available. Over 3459 feet of road frontage. Electric at the road. Minutes to the gorgeous Huyck Preserve and the Cary Institute for Global Good. 27 miles to Albany. 144 miles to New York. Come and explore your new weekend retreat. 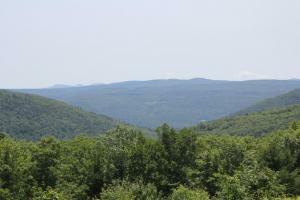 Own your piece of the northern Catskills. 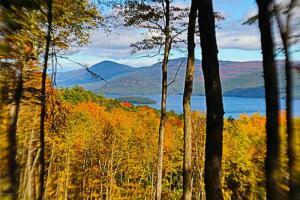 This 243 acre secluded mountain paradise is located in Conesville, NY. 1200' long crushed shale road bed meandering up to higher elevations that would be easily accessible for a motor home or large camper. Conservation easement ensuring that all of the natural elements will not be developed. Approval for up to three dwellings that can be built in that "perfect spot". Unbelievable whitetail deer and black bear area. 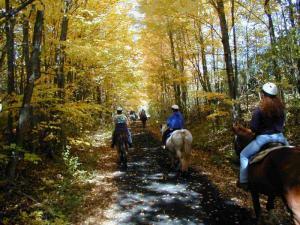 Horseback riding and hiking on logging trails. Brooks and springs are plentiful with excellent future pond sites. $230,000 assumable mortgage available. Maintenance logging has be providing over $60,000 in income every 5 years. 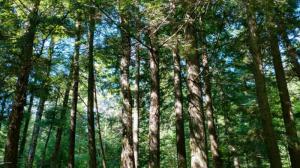 Forestry management plan insures sustainable income for decades to come. This is your chance! 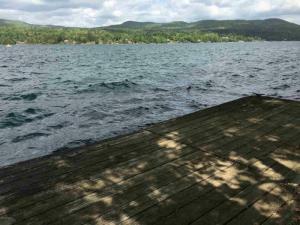 SCHROON LAKEFRONT LOT IS READY FOR YOU! 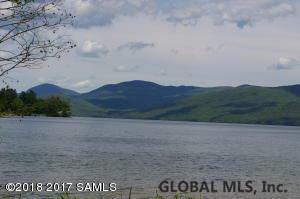 Build your dream home on these superb 4.8 acres with choice 200'on the East Shore of Schroon Lake with mouthwatering views of the High Peaks & Hoffman Mountain. Has 200' road frontage but a right of way is provided for easier access. Nice mix of terrain but relatively level near the lake. More lakefrontage is available. 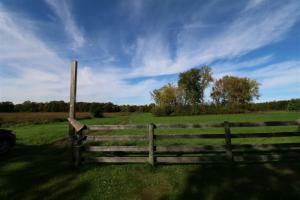 48.75 acres perfect for secluded country estate, hunting, agriculture only 5 minutes to Saratoga Springs. Possible future development. Property can be accessed via easement on Locust Grove Rd. 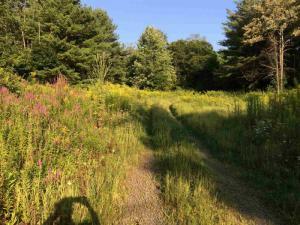 Property may also be accessed via rte 9n through additional estate land. See attached documents. 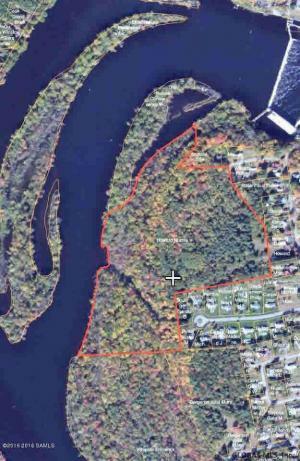 Over 7 acres of vacant residential land on Assembly Point. Within the Shore Colony Association. Can be sold with dock on Lake George for $485,000. 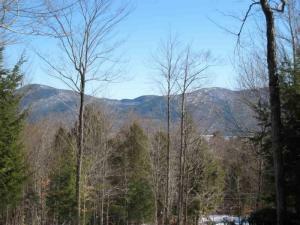 Wonderful Queensbury location with the low Lake George School taxes. Public water and sewer. Builders take Notice! Great opportunity to a 10 lot subdivision. Conceptual Drawings available. Town approvals needed. 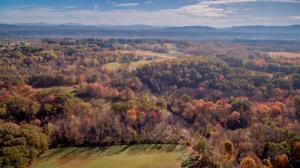 beautiful 50 acre parcel on Riverview Road. Across from Erie Canal Towpath Trail access. Land backs up to higher-end New construction subdivision. Convenient to exit 8. Shenendehowah Schools. Would make a beautiful private homesite with plenty of room to play. Large acreage site, ideal for residential development, recreational use, or the potential for a zone change (Currently R-B Zoning) for more commercial use. 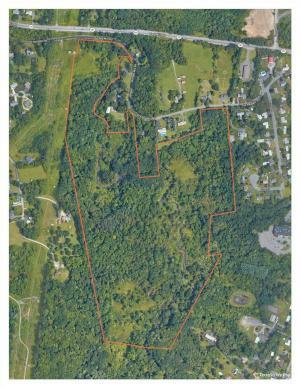 Meandering stream, woods, and rolling topography enhance this site which is located just minutes from downtown via Route 90 and Route 4 (Troy Rd). Motivated seller is willing to look at offers. 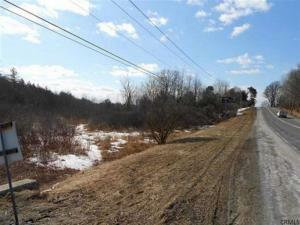 Great parcel with plenty of rd frontage on both route 67 and Stoner Trail. An open pasture that would be perfect for a large convenient store, college housing or solar panels. Create a true ESTATE on this 24 Ac. 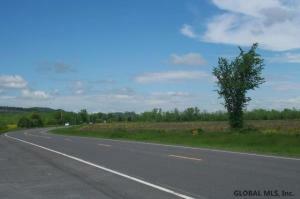 parcel with phenomenal views over the Mohawk Valley. 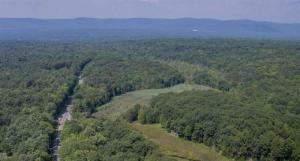 Rare to find a parcel this size within the city limits of Little Falls, yet with options for development as a magnificent private estate or divide into 4 or 5 stunning lots, all with million dollar views over the Mohawk Valley. The setting is rural, surrounded by farms, yet only a few minutes from the center of Little Falls with shopping, antiques centers, restaurants, & all the festivals that surround the Erie Canal. Ready to build your dream home in the country? This 59+ acre parcel has everything in place. All you need to do is design your dream home and site your location. Buried electrical line along road frontage. BOHA approved surveyed-in above ground septic site. Two approved driveways 700 feet apart, Pond with fresh water in-flow and overflow. Stream running north to south through the property. 790+ road frontage. Easy access to Rte 90. 30 minutes from Albany. Great opportunity for a developer or builder, close to I90. Beautiful piece of property located right off of Route 150. Frontage on Route 150 approximately 838 ft. Dated concept plan from 2007 in documents for reference. Build your dream home or vacation home on this beautiful and plentiful 63 acreage. Site improvements already complete-Roads cut in, 2 ponds on property, cleared and ready to play on Perfect for hunting, fishing, snowmobiles, four wheel and everything else you can imagine...Well, septic,&.drainage in...Investors Dream. Call us for more info..
78 Beautiful wooded acres for your Adirondack getaway with views of Durant Lake and some High Peaks too! With APA Approval, subdivision is possible. Take a look and see what it has to offer! 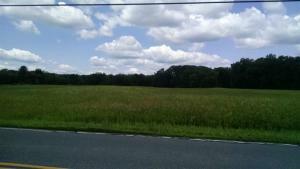 Great opportunity to own some of Montgomery Counties best farm land. 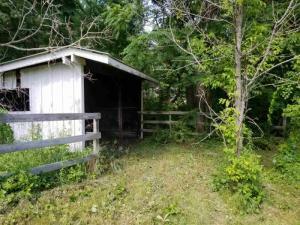 Located with in a mile of the Amish produce auction, 97.5 acres with good soils and 60 tillable acres with the balance a mix of hardwoods with bubbling springs. 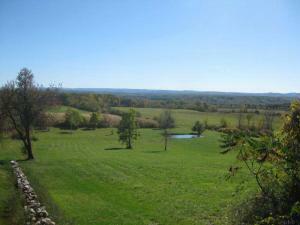 Incredible panoramic views of the Historic Mohawk Valley. Centrally located in Upstate New York, only 10 minutes to the NYS Thruway and fishing access to the Mohawk River. 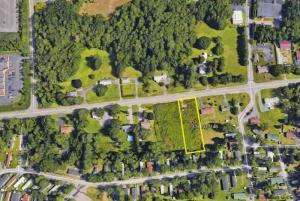 * Vacant lot to be sold in conjunction with 436 Route 146* 130 LF of road frontage on Rt. 146 (230 LF for both parcels). Seller received final approvals (expired in 2008) for 15,800 SF office building using both parcels, and open for discussion for possible conversion to medical office (note PDD approved Halfmoon Healthcare and Biomedical Research Campus). Serious inquiries only. Info on utilities, water, sewer, etc. to be verified by agents. 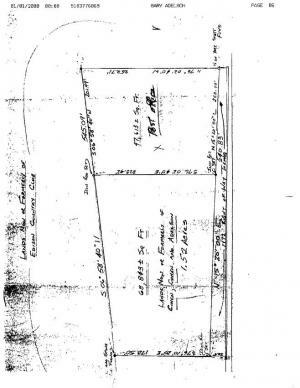 This is the combination of 2 parcels of land currently being offered either separately or combined. See listing #120824 and #120827 to view them separately and see their current assessments and taxes. Both parcels are mostly flat land with gentle sloping here and there. Very interesting terrain just waiting for the right vision for clearing and gardens. These combined parcels are contiguous at the rear 2/3 of the properties. 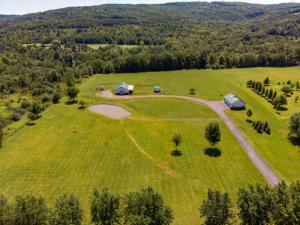 This is an opportunity to build your dream home on 18+ acres, 250 feet above Route 9, Hilltop Drive showcases breathtaking views of Vermont with unmatchable seclusion. Why build in the Adirondacks when you can be 8 minutes (3.4 mi) to booming Broadway in Saratoga Springs? Newly cleared and leveled home site. Access by private drive. Utilities to be brought to site by seller. Other lots available. Contact listing agent for more details. Agent related to seller. Opportuity awaits. 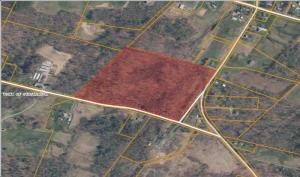 Over 16 Acres Located in the Town of East Greenbush. There are 2 points of entrance, Top of Oriel Ln (end of CuldeSac) and the end of Valentine Dr. Tons of Potential, Sub-Dividable with access to Water and Sewer. Contact Listing agent for additional information and to schedule a showing Today! 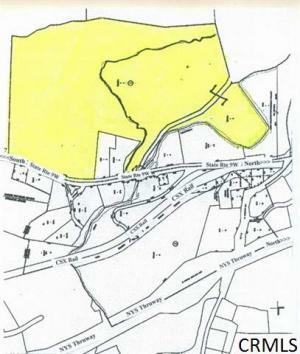 A rare opportunity for a builder/developer for a 24 lot subdivision plan within walking distance of shops in downtown Schuylerville. This potential development is an extension off Andrew Drive. The land gently slopes for interesting contour and has electric, natural gas and city water and sewer at the street (Connection to City water and sewer off Gates ave and Andrew). Potential for 18 large residential lots located in the capital district's premier school district. 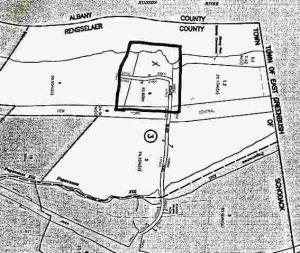 One of the last large undeveloped tracts in Niskayuna that is surrounded by 400k homes. A great opportunity for developers and investors. Superior location a quick commute to Knolls Laboratory and walking distance to Blatnick Park. Survey docs available upon request. 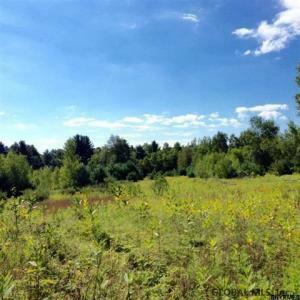 18.27 acres just minutes from town! 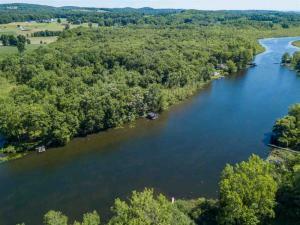 This property has the potential for incredible lake views, and offers the perfect setting to build your dream home! 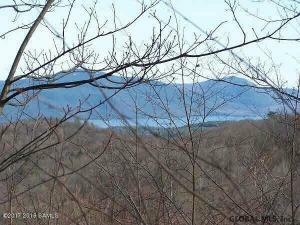 Wonderful Lake View Building lot overlooking Lake George. Plenty of room to build a private Dream Home! Close to I-87 makes this parcel very accessible. A long road up the mountain and through the forest, to a wooded peaceful place. 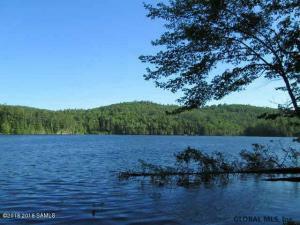 Direct Lakefront building lot on Beautiful Brant Lake. One of the last ones left w/o a road to cross. 100' of private, natural frontage. Roughed in driveway and power at the road. Enjoy the quiet side of the lake along w/ all day sunshine! 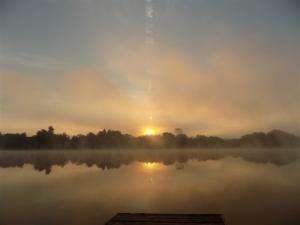 Watch the balld eagles, listen to the loons & enjoy the star filled sky from your own piece of paradise. 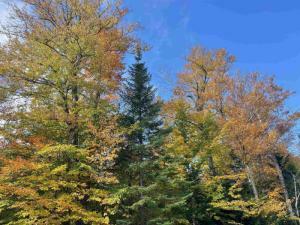 Pleasant Brook Forest is a private and secluded recreational timber property tucked away in the Northern Adirondack Region of New York. The setting is remote and quiet yet still within 30-40 minutes of regional population centers. 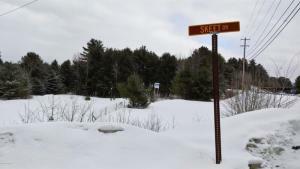 The property features a well-appointed, off-grid hunting cabin tucked away in the center of the property and over a mile and a quarter of scenic stream frontage along Pleasant Brook, an attractive tributary of the nearby St Regis East Branch. While enjoying the recreational amenities of the property, there is a long term, recently thinned maple, birch and cherry timber resource that is perfectly positioned for volume and value growth over the coming years. 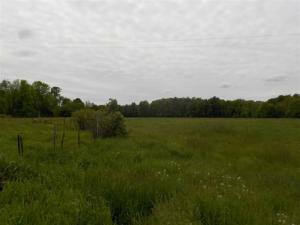 Queensbury Acreage! 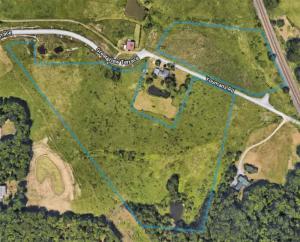 Private setting of 40+ Acres (2 parcels combined) Boarding the Watershed. Incredible opportunity for hunting and all outdoor activities. 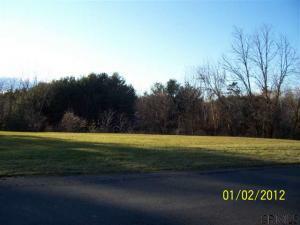 Buildable lot in the Lake George School District. 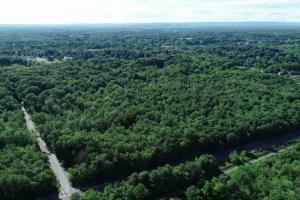 Convenient to shopping, recreation & easy access to I87. Bring your horses or snowmobiles and enjoy the privacy of Saratoga Trails in the Schuylerville district with Mansfield Custom Homes, LLC. This new home site is located conveniently less than 10 miles to downtown Saratoga Springs, the race track and Saratoga Spa State Park. Many lots and models are available. Call for details! 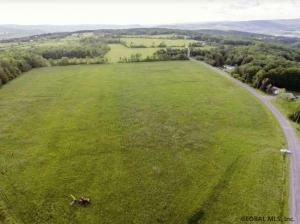 Beautiful parcel offering spectacular views of the Mohawk Valley. 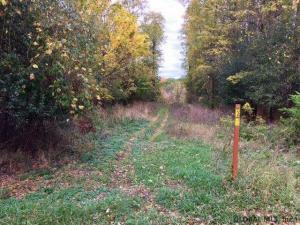 120 tillable acres with 30 acres of wood/timber. 2012 soil survey available. Active farm crops. *50' deeded R.O.W. 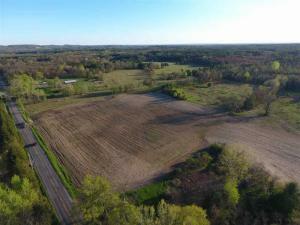 Beautiful land open field 12 + acres, and 900+ feet of frontage, land is perfect for a small subdivision or a dream home set back off the road . 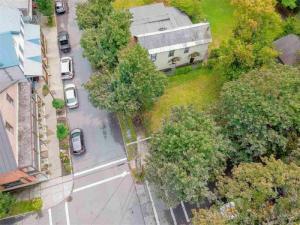 Very convenient to Albany 10 minutes to downtown ,there is public water available about 1000 feet away buyer would need to bring it to the lot, or you can have a well. Seller has no current survey buy will have one made as soon as we have a solid contract ,many fine homes in this area. Voorheesville award winning schools district. 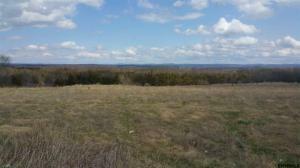 109 acres of vacant land with stunning views. 72 acres are tillable. A great location only minutes away from Route 20 and a close proximity to Cooperstown. 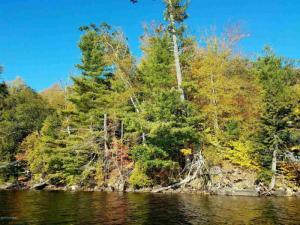 Lot 5 has 215' lakefront with water rights on 4.01 acres +/- on Great Sacandaga Lake near Sinclair Pt. Sandy beach and west facing views. 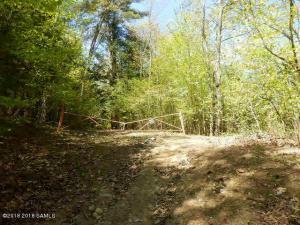 Gently sloped to lake, partially cleared/wooded with existing driveway and drilled well. Part of a ew development and close to the Village of Northville. Fantastic Opportunity for Moreau Development! 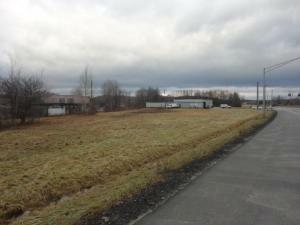 12.5 Acre parcel situated near Moreau Rec Park. Very desirable location. This property was part of an old farm. 17 Acre plot across the road could be purchased too! 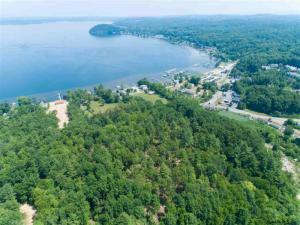 Building lot with gorgeous views of Blue Mountain Lake and beach/docking rights through the Woodlands HOA across the road. Only parcel left with a great view of the lake in a lovely maintained HOA. MAKE AN OFFER! 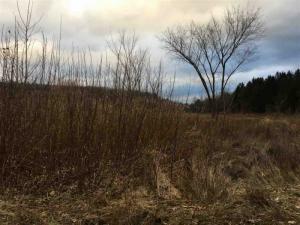 Hudson River waterfront development potential in this 38 acre lot situated at the end of Feeder Dam road in South Glens Falls. 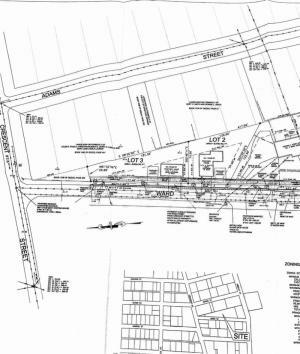 R2 zoning would allow multiple home with installation of a road. Or build your dream home in ultimate seclusion with 1395' of waterfront. Lots of possibilities!! Call for a tour of this property today! Developers dream. 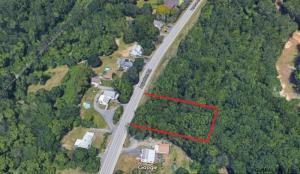 Large wooded parcel to build in the Town of Stillwater. Desired Stillwater School District. Access from three different roads. Zoned low density residential. Public water at road. Electrical at pole. Located at County Route 75 and Graves Road. 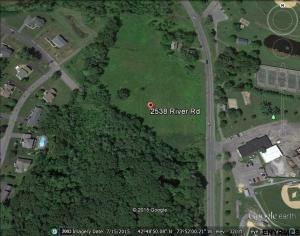 * Vacant lot to be sold in conjunction with 438 Route 146* 100 LF of road frontage on Rt. 146 (230 LF for both parcels). 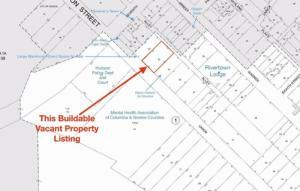 Seller received final approvals (expired in 2008) for 15,800 SF office building using both parcels, and open for discussion for possible conversion to medical office (note PDD approved Halfmoon Healthcare and Biomedical Research Campus). Serious inquiries only. Info on utilities, water, sewer, etc. to be verified by agents. Build your custom dream home here with 53 feet of lake front for your dock and spend your summer evenings enjoying the gorgeous sunset views. Existing well, public sewer, and public water. Also included is a slip on the community dock. Convenient to Saratoga Springs downtown, race track, and I87. Minutes to shopping and the amenities of the Adirondacks. Saratoga mailing address. Call for additional information. Come build your dream home in the country? This 37.11-acre parcel with 1293 Ft road frontage and a 6 acre stocked lake that will be entirely yours. Ideal location. Privately set on less traveled road yet close to Hudson and less than 2 hours from NYC. Do not enter property without permission. 20 acres on Oxbow Hill rd with cut in road. Approvals for 5 lot subdivision are in place and will go with the sale of the property.Views of Glens Lake and west mountain. Pricing available for infrastructure on request. Great for developer of private residence. 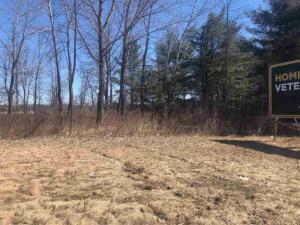 5 lot appproved subdivision in Queensbury. Great property for high end homes.Property borders Bedford Close subdivision. Electric and water available at road front. Property is nearly level and partially cleared, partially wooded. 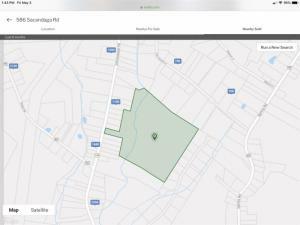 Subdivision layout for 5 building lots, Survey and perk test on hand. All buildings on property will be removed before closing. 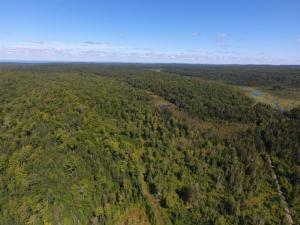 Investors and Outdoor Enthusiasts this is the parcel for you! 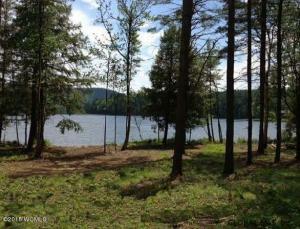 Come build your dream Adirondack getaway on 237.7 acres! Three parcels being sold together for you to turn into your family home and playground! Wildlife abounds in this centrally located parcel. Close to North Creek (10 minutes), Warrensburg (15 minutes) and Lake George (20 minutes). Small camp on property is wired to work with a generator. Utilities at road. Listing includes Tax IDs: 135.-1-15, 134.-1-46 and 134.-1-47. Add'l Acreage #201823546. 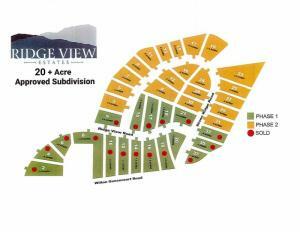 Looking for a small subdivision? well, here it is, and most of the engineering has been done including the road, that has been brought in by the Town, and has over 2300 feet of frontage storm drains and retention ponds.Engineering is done for the water, a subdivision has been engineered, but not finalized before the Town of New Scotland board, once that's done you can apply for the public water.Some in-ground systems and above ground septic were approved some years ago. 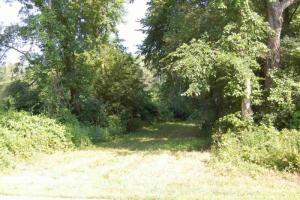 Buy all 6 building lots in well established subdivision. No through traffic makes this location ideal for a family with young children. Ichabod Crane schools. 5 minutes to I-90, 20 minutes to Albany. Individual lots available also. To Be Built. 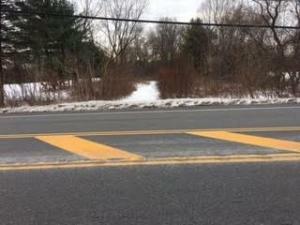 Build your dream home on this nicely sloped vacant land in the high demand Niskayuna School District. Nice, flat parcel. Could be subdivided. Great for small horse farm or estate lots. Water on Phillips Rd would have to be brought in and approved. 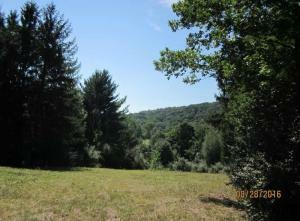 23.612 acres of rolling treed land zoned for 1 residential home per 3/4 acre lot. Ideally located less than 5 minutes from Exit 17 of the Adirondack Northway and Moreau Lake State Park. 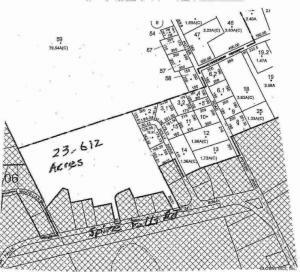 Prime land for $250,000 to $350,000 price range home development. Contingent upon owners approving any proposed site plan. 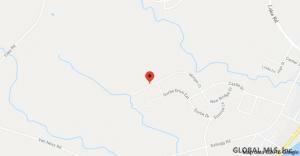 Vacant Commercial Acreage in Queensbury. 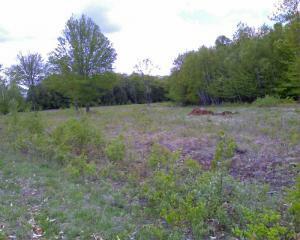 2 Lots totaling 14 Acres. Had been pre approved and engineered for a large office building. Situated off busy Bay Rd. Close to shopping. Convenient location. 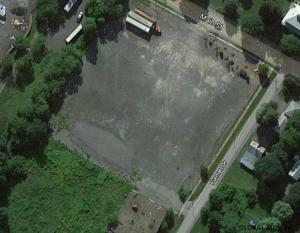 The southerly lot is in the Glens Falls City School district and the North lot is in the Queensbury School District. One of the last of its kind. 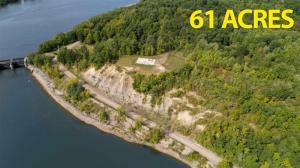 Secluded wooded lot with 125 ft of Paradox Lakefront on 1.15 acres. This highly desirable property is ready for you to build the home of your dreams. An APA permit for construction of a single family dwelling is required, but the application will be treated as a minor project. 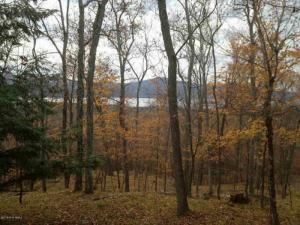 10 acres On the Hudson River with 800 foot of river frontage, including a protected harbor. Building sites level with the river or over looking the river. Ideal for private estate or development. Zoning is permissive and would allow multifamily and commercial. Bordered on one side by land conservancy and the other side by historic Staats Estate. The Skidmore College Showgrounds will be your neighbor when you build your dream home in the heart of Saratoga horse country. Location about 8 miles from Saratoga Racecourse and the Rood & Riddle Equine Clinic. Ag./Residential zoning allows single or two family home.38' x 120' barn has twenty 12' x 12' stalls which need doors to complete them. Up a lovely serpentine driveway through the trees to these gorgeous open views over your own lovely expanse of green into the sky and hilltops all around. Electric and cable are underground to the building site so no unsightly/unsafe lines here! The building site is flat and behind it can be further cleared if you want more flat yard area. Simply a stunning retreat for you and yours to build your dream home. 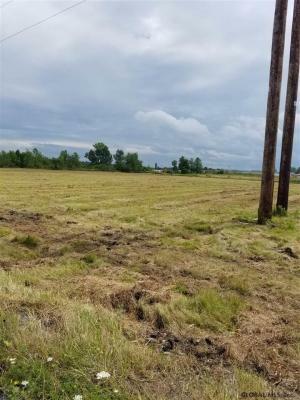 This parcel can be combined with the contiguous 19.50 acres also on the market (listing #120881). 242+/- Great Acreage for hunting, snowmobiling, fishing, wildlife or just enjoying the great outdoors. Borders NYS property on 2 sides. Very close to Mulleyville trail system. Close to Saratoga Springs. Lower Saratoga Co./ Edinburg Taxes. 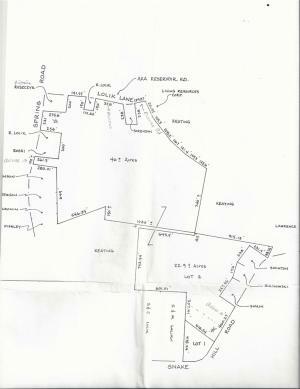 Listing includes 2 Tax Lots: 95.-1-24 (previously 95.-1-4.1 & 95.-1-9.14) approx. 232 Acres plus 95.1-1-9.12 approx. 10 acres w acreage near the road. Cabin on property sold as is. Schedule Showings thru Listing Agent. Approved APA building lot. Make this your Get Away! Rare opportunity! 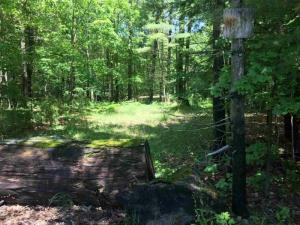 Beautiful wooded and private land in the heart of Ballston Spa. 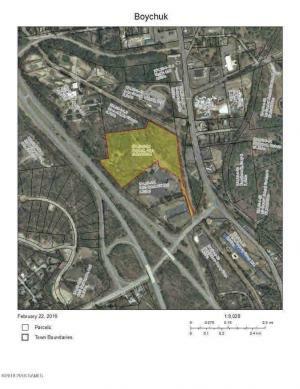 7.2 +/- acres in the Village, 16.5 +/- in the town of Ballston. Approx. 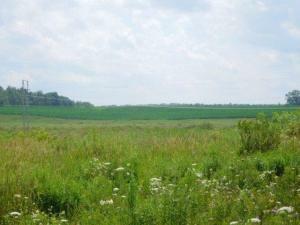 10 acres build-able, 13 ac wetlands. Accessible by Chester St or Zepco Ln. 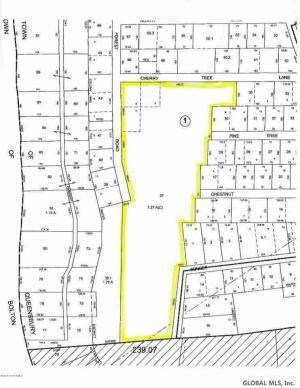 Subdivide for 9 lot subdivision, or a couple big estate lots in the middle of the village. Survey Available. House plus 1+/- acre not included, they will be subdivided at seller's expense prior to closing. 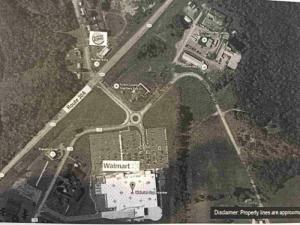 Excellent high traffic location ideal to capture business right off Exit 25 of the Northway. Site plan has been completed for a 10,000 sq ft mixed use commercial building with 55 parking spots. This location is visible from the south bound lane of I87 and State Rt 8. 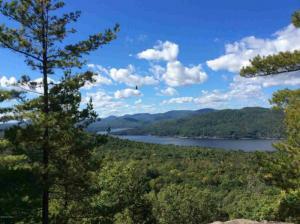 It is equidistant, (220m) from NYC and Montreal, making it the perfect stopping off spot to take a break. Also perfect for all the visitors looking to stock up for their vacation homes as they get to town. Many possible uses. 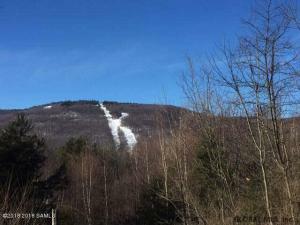 70.2 Commercial Acres bordering I-87 Exit 17s Off Ramp & runs north along I-87 to Spier Falls Rd. Potential for 1-5 Commercial lots. Updated wetland delineation. Public water available at north end of lot. Permitted uses incld; Restaurants, Bars, Office Bldgn, Fire House, Hotel or Motel, Bank ect. Special permitting for Automotive, Light Manufacturing, warehousing, Indoor/Outdoor Recreation ect. 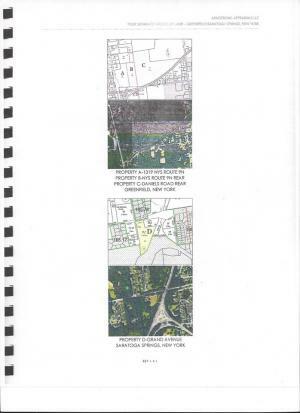 See additional documents for proposed 1-4 or 5 lot subdivision, Zoning uses and Tax info. Vacant, never developed, CORNER LOT. Near new Davidson's Brewery, WalMart, and Sutton's.Municipal water and sewer. 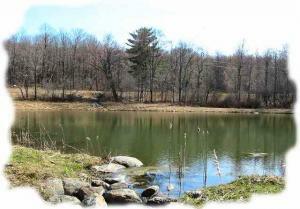 Private Lakefront Subdivision suitable for upscale construction of primary and secondary homes. 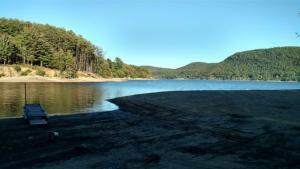 Tripp Lake is a non motorized lake with excellent swimming, paddling, and fishing. This lot has been partially cleared for a lakeside building site. 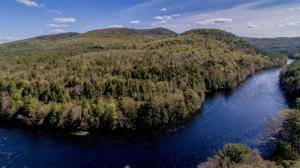 Spectacular opportunity to own acreage on one of the largest and most accessible lakes in the Adirondack Park. Close to everything you need to conveniently make this property the site of your primary residence, or as the location of a lakeside retreat to enjoy for years to come. 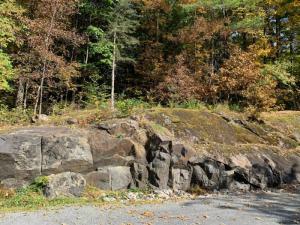 700’ HRBRRD shoreline permit for your desired dock space, with panoramic views of the lake and mountains. 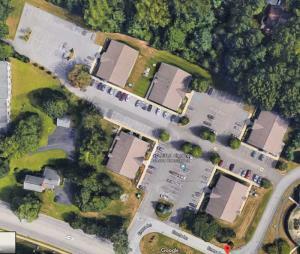 Located just outside of the Capital District, minutes to NYS I-90, and surrounded by the best amenities in Upstate NY. 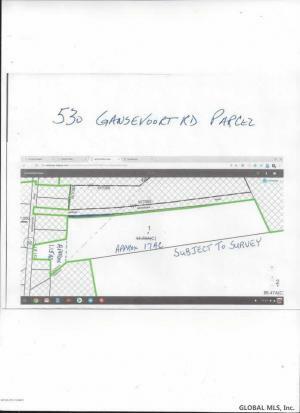 3.63 acres on private road Toby lane, sub divided off 22 toby lane 4 major subdivision approved per New Scotland Town planning board, water and sewer district extension this month, 3.64 acres, public water, public sewer, natural gas and electricity at road. Build your dream home. call listing agent for more details and timeframe. 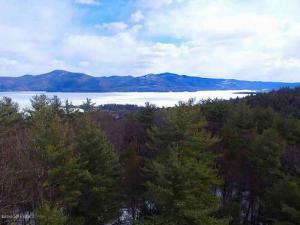 Awe-inspiring 180 degree views from the ridge overlooking the Sacandaga Lake and the surrounding mountains. Within the APA, this 141 acre parcel offers privacy and serenity away from the hubbub of everyday living, yet within 30 minutes to Saratoga or Glens Falls. 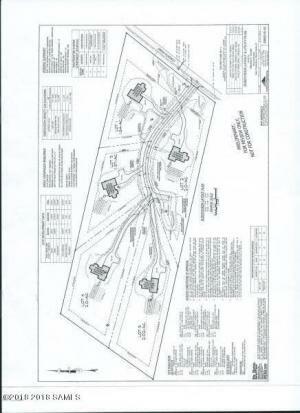 3 parcels included have the potential for a 6 lot subdivision, all with views. The current cleared homesite has a 300' drilled well in place. Such a rare jewel with incomparable views and a fairly easy access to the summit. 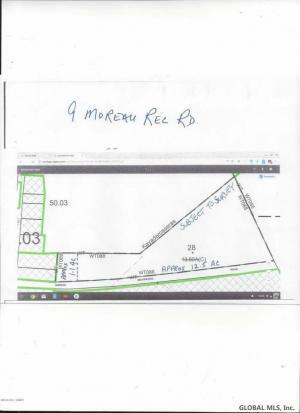 Lot Number 2 of a recently approved subdivision (filed with country clerk but not yet assigned a tax map number) contains 27.87 acres with 950.19 feet of road frontage. 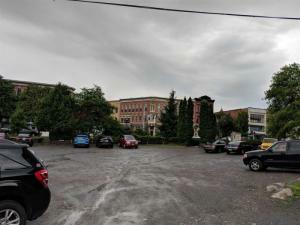 Commercially zoned with exposure to high volumes of traffic enroute to the Adirondacks and westerly shores of The Great Sacandaga Lake, it adjoins a proposed "Resource Hub". The southern border of this parcel has a stream and beaver pond surrounded by some wetlands in the southeast corner. Portion of MLS #201324234. 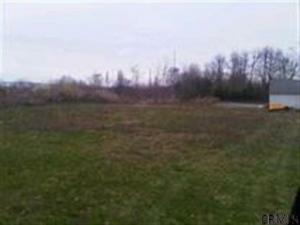 This land has beautiful views of the Capital District, located near the Troy Country Club. Downtown Troy is 8 min, Albany 15 min, interstate 10 min. Rolling hillside land with beautiful views. Potential 10-15 lots. 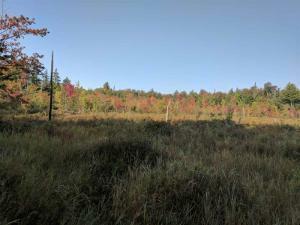 33..38 acres with 400 ft of frontage on Fish Creek, only 10 minutes to downtown Saratoga and a 15 min boat ride onto Saratoga Lake. Loads of potential await you with this rare find. Build your dream home or develop the property. House on property that needs to be torn down. Residential vacant land zoned R1. Can be subdivided for additional lots. Water/Sewer different locations on Glenmore Rd. Perfection! Open views all around, a 2 1/2 acre pond that draws Loons and Egrets and gorgeous flowering water plants, loads of flat area to cultivate gardens and/or grow your own food plus lovely mature trees at the rear of the property. There's underground cable and electric to the building site so open unobstructed views on your land. This land is already BOHA so you can start building your dream home as soon as you'd like. Owner selling lots as one: 149.6-13-34, -33, -32, -30, and -28. 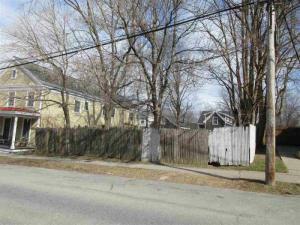 High traffic and visibility corner lot located on main street in Gloversville. Please contact listing agent for more info regarding size and tax info. Agent related to owner. 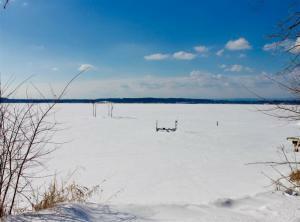 Gorgeous Direct Waterfront on pristine Peck Lake, just waiting for your dream house to be built. 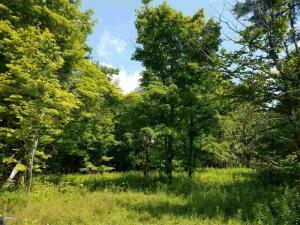 Beautiful wooded parcel of 106.3 A, near an area of newer homes on Rebecca Drive, just west of Middle Grove, in the Saratoga Springs School Dist. There are some wetlands at the rear portion of the land, leaving approximately 60 acres for development. See attached wetland map and Forestry plan. The site has 900' of road frontage and rolling topography. Contact the listing agent fro additional details. 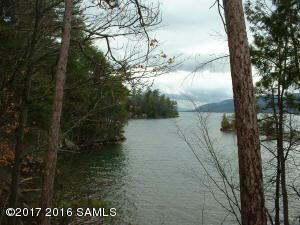 Lot 6 has 215' lakefront with the sandy beach and water rights, 5.49 acres +/- on Great Sacandaga Lake. Part of new development near Sinclair Point. 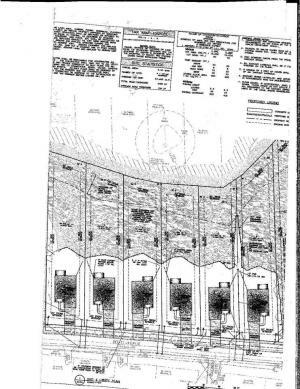 Lakeside corner lot, town approved for building, septic & well. 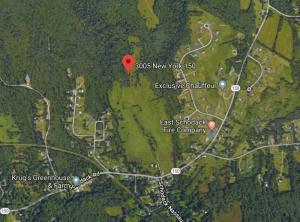 Make this location your home...build your beautiful dream house on the 60 acres and comes with 2.5 acres on the Hudson River with over 1700' of water front! Mostly level with sloping in the back. Agricultural zoned. 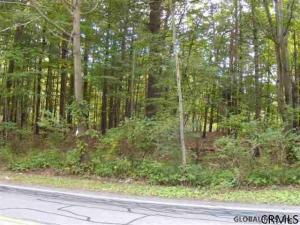 16 wooded acres just outside Lake George village. 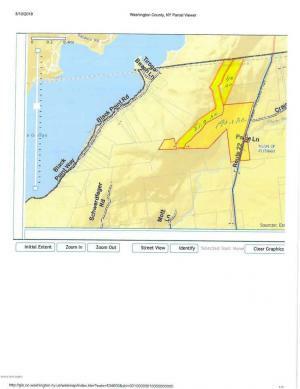 2 parcels 264.04-1-36 is 10 acres, 264.04-1-37 is 6 acres. Possible filtered view of the lake. There once was power to a small camp. Property hasn't been occupied in many years. 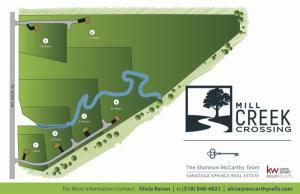 Mill Creek Crossing is a 26 Acre approved subdivision with 6 shovel ready lots. Lots range from 1 to 11 acres. Under 15 minutes to downtown Saratoga Springs and less than 10 minutes to the Adirondack park, this property will satisfy the buyer looking for a vacation home, or a year round home. With a private setting and Kayderosseras Creek meandering through 4 of the 6 lots, this unique opportunity wont last long. A portion of the Hollister Farm. Current us is agricultural crops. This property has views like no other!!! Facing south and east ohhhh what views. Bring your horses or snowmobiles and enjoy the privacy of Saratoga Trails in the Schuylerville district with Mansfield Custom Homes, LLC. This new home site is located conveniently less than 10 miles to downtown Saratoga Springs, the race track and Saratoga Spa State Park. Other lots are available. Call for details! 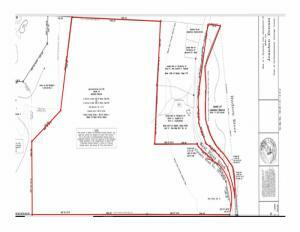 67 Prime acres with frontage on Spring Rd, Snake Hill Rd and Lolik Lane. Generally level topography. Survey has been done. 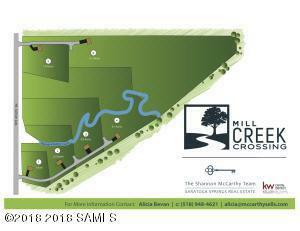 Mill Creek Crossing is a 26 acre approved subdivision with 6 shovel ready lots. Lots range from 1 to 11 acres. Under 15 Minutes to downtown Saratoga and less than 10 minutes to the Adirondack park, this property will satisfy the buyer looking for a vacation home, or a year round home. With a private setting and Kayderosseras Creek meandering through 5 of the 6 lots, this unique opportunity wont last long. Large lot with stream and wetlands. Hunt, play or build. 675 feet of road frontage with electric at the road. Minutes to gorgeous Huyck Preserve and The Cary Institute for Global Good. 27 miles or 30 minutes to Albany and 144 miles to NYC. Come and explore your new weekend retreat. Can bu purchased with additional lots. 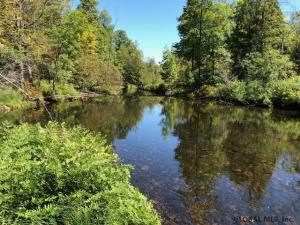 This 203 acre property has 2100' of river frontage on the main branch of the Ausable and is ready for your weekend getaway home or hunting and fishing camp. Gentle terrain, meticulously maintained trails, hunting stands in place, Christmas trees planted - give this one a look. This secluded property is already to built on. Currently zoned R3 and deeded as 3 address. 890-892 Middle Line Rd. Currently the property is vacant filled with fields and timber but runs along the Kaydeross creek. 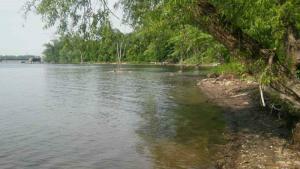 This is prime location for someone looking to build an apartment building or a secluded home overlooking the river. This property has it all with! Beautiful mountain views! Nice mix of woods and open land. Small stream goes through the property. There are large fields for crops and hay. Southern exposure. Road frontage on 2 roads. Property is close to Cooperstown. 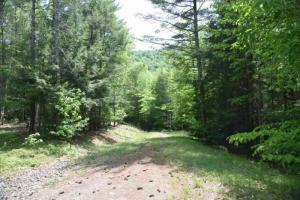 Close to NYS land and snowmobile trails. Gently rolling country setting with the Kayaderosseras Creek winding along its southern border. 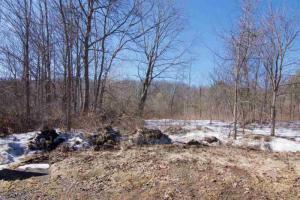 Sandy soil, trees, privacy, views and many potential home sites. Perfect for hiking, cross country skiing and horses. Only 15 minutes to Saratoga, 30 minutes to Town of Malta. 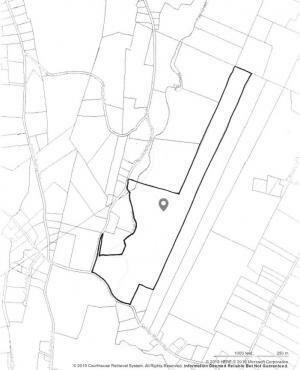 Development potential in the Saratoga School District. Listed parcel includes SBL # 137.-1.50 (125.71 acres) and 137.-1.51.113 (10.84 acres-Coy Road rear). Approximately 1200 feet of frontage on North Creek Road. 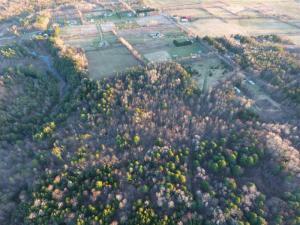 80+/- wooded acres on Durkin Road in North Creek. Zoned hamlet. 2750' road frontage. 560' on North Creek. Minutes to & views of Gore Mt. Town water. Ideal for your Adirondack escape or a small subdivision. Lands of the former Mill Brook Farm. 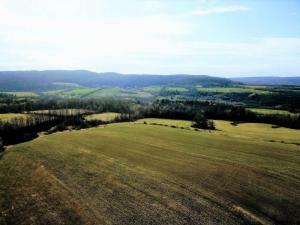 Build your country dream home here, or develop this land for several dream homes! Fishing and hunting paradise with road frontage on Creek and Towner Hill Roads. 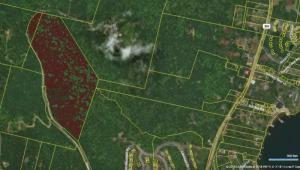 Land features include wooded and tillable parcels. Putts Creek completes your wish for a babbling brook. 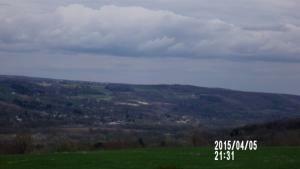 Amazing views, tremendous potential! Just shy of 150 acres available to build your dream home, go hunting, ATV's, farming, developing a multiple home site, or just for fun! The possibilities are endless with this property. 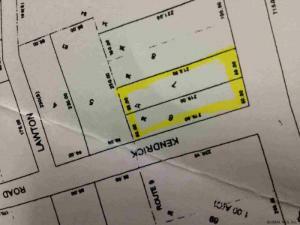 2 separate lots available being sold with (SBL #168.-3-36) Second Parcel is in town of Broadalbin. Centrally located less than 15 minutes, from Amsterdam & The Great Lake Sacandoga, and only 30 minutes to Saratoga. Galway school district. Call today for more information! 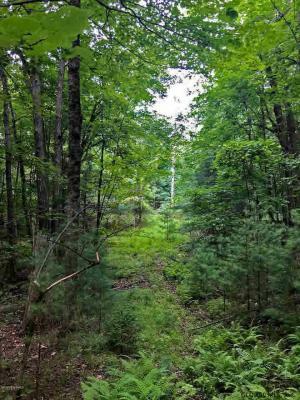 Known as Lot 1, 270 surveyed acres of Southern Adirondack forestland in the Town of Johnsburg with recreation potential, manageable timber, wildlife and hunting opportunities as well as a potential building site. 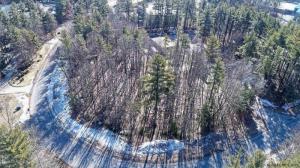 3 adjacent 8.5 acre lots for sale, 37.2, 37.3, 37.4 The Town of Johnsburg boasts over 130,000 of Forever Wild State Forest Preserve lands as well as featuring Gore Mountain Ski Resort only minutes away. The property is centered between the village of North Creek, Chestertown, Speculator, Wells and Warrensburg. All the amenities necessary can be found in North Creek 9 miles away. 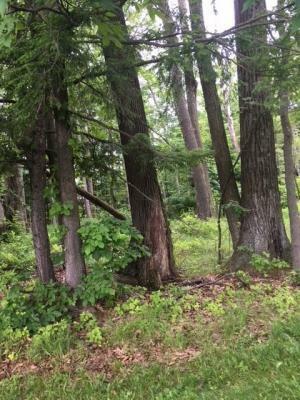 Just over 140 Acres and 2,639 feet of frontage, with a stream, and minutes from downtown Saratoga Springs, this parcel provides opportunity for subdivision or preservation as large estate! There is water/sewer connection at Route 355 which would be ideal for numerous homesites. 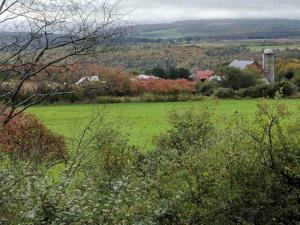 The land has residential development potential. The existence of wetlands and steep slopes on 40% of the land may prevent development in those areas of the site. 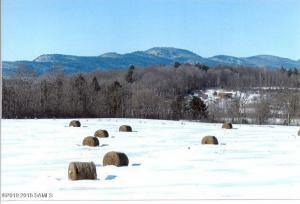 Beautiful acreage overlooking the Berkshire Mountains. Perfect for home builders. Conceptual plan for 11-12 single family homes with outstanding views. 20 Minutes to City of Troy, shopping, area colleges and private schools. Area is ripe for development! Build you Dream House and own your own Private Lake w/Evergreen Trees Professionally Collected from all over the world! 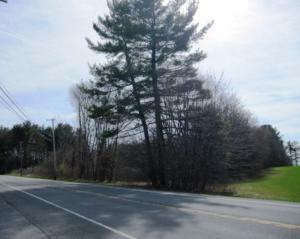 Beautiful 23 acre parcel with 800+ rd frontage, across the street from Saratoga National Historical Park. 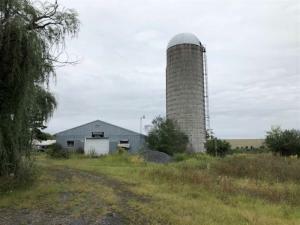 Opportunity to build an amazing estate/farm. 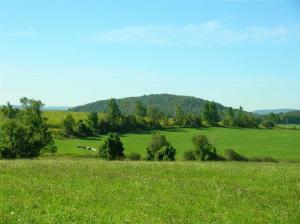 Nice balance of open pasture/hay fields to ridge overlooking mountains & National Park. 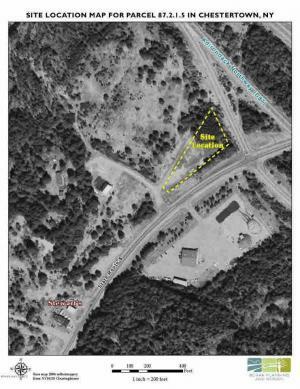 Contingent upon subdiv from adjoining main property 611 RT 32 also for sale w/20 acres for $595,000. Located close to McMahon's TB horses farm & Skidmore's new equestrian show facility. Only 12 minutes back to Saratoga Lake & Track. Contact LA for additonal details. Prime piece of Real Estate on heavily traffic area with many uses. No eateries around, could be site for just about everything. Main Route taken for the Casino, the GE, the demand and uses are endless. Great spot for a Bank, This is next to the Post office. Price firm, No financing. Cash only transaction with proof of funds. 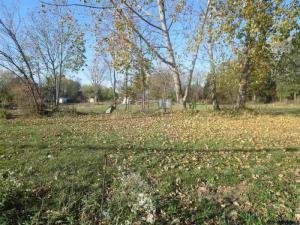 This parcel of vacant land has the potential to build with special use permit and site plan approval animal kennels, religious institutions, neighborhood bed and breakfast, rooming house for track rentals, with permitted accessory uses; farm stand, home occupation family daycare and more. Very Ideal location in Saratoga. Stone throw to Broadway, Route 9, Casino, Track, Saratoga Lake, SPAC. 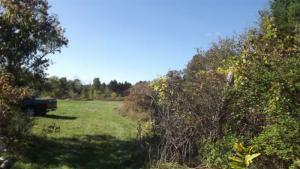 Sprawling lot just over 8.7 acres that has been soil tested and DEC wetland cleared to use. Also topography, survey and traffic information for driveway install has been done. Would be an ideal parcel for a home business. Someone in the auto trade, contractors, artists. All Documents available on request. Call Listing agent with all questions and showings. New Construction With 26' Boat Dock Lake George! 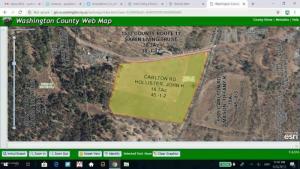 .65 Acre Treed Approved Building Lot within Lakewood HOA. Circular frontage may allow circular driveway, 2nd lot on left side. Includes deeded Lake George dock for 26' Boat Warner's Bay. Community septic in place, need to drill well. HOA $1,840/year paid quarterly. $50 Annual waterfront dock fee. Broker is owner of this adjacent parcel. 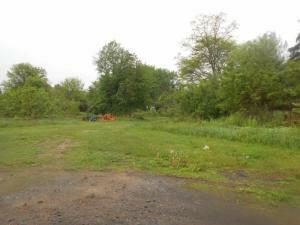 Lot has 250 ft of frontage on Rt 30. Conveniently located along an area of retail and commercial development. 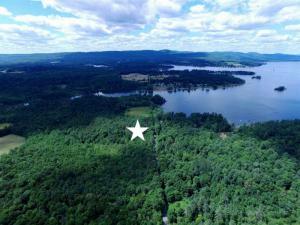 Rare opportunity to own 61 acres at the Hudson River! Build your very private dream home with beautiful views from above the Hudson River! NOT in flood zone. Slab foundation in place, designed for 4BR/2BA, 2-4-car garage home (approx 2850 sf/fl; 5700sf total.) Architectural plans avail. Well drilled (approx 500'), Septic system in place. Electric poles and transformer in place to house pad. Great southern exposure for solar. 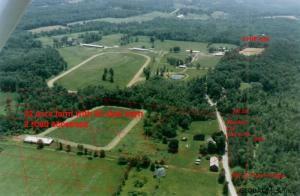 Sixty one acres; build your home then possibly divide into multiple lots. Never available in this century, approx 20 acres, wooded parcel elevated for potential lake views. Lots of road frontage for easy subdivision or secluded single owner. 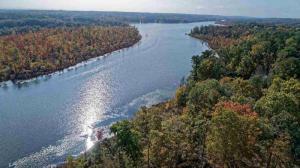 Lake access for docks & boating is available for lease to buyer. Next to community center and nearby country club with golf. Easy access to Albany, Berkshires. Excellent Averill Park School District. Enjoy local famous restaurant, and multitude of parks & water recreation. 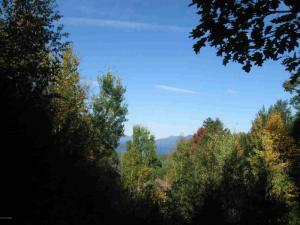 Great building lot with privacy and potential mountain and lake views. 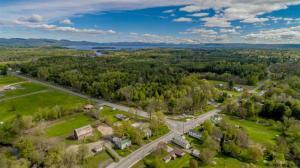 Upscale subdivision close to town of Lake George and Bolton Landing,restaurants, shops, docking, and free Lake George water access. Great view potential - permit issued to improve view. Owner will provide financing under agreeable terms. Power at road, buyer to install well & septic. In town of Bolton with Lake George schools. Paved association road. 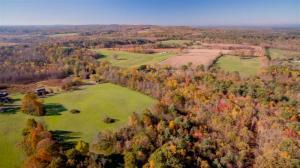 Over 18 beautiful acres of land to build the home of your dreams in a private setting. Has it's own private road. Well has been drilled and fully approved by NYS Dept of Health for flow & quality & passed with flying colors! Beautiful views. Only 15 min to Albany, 5 min to I-87, I-90, 787 & the thruway. Rare Find! 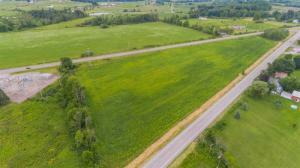 Just shy of 50 acres of open, cleared, pasture land, make the perfect home site, equine facility, or development opportunity. Soil conditions offers ideal footing for equine training facilities or farming. Popular horse training and farming community. Less than 5 miles from the Northway and 15 minutes from the historic Saratoga Springs Race Track. Call for details and maps. 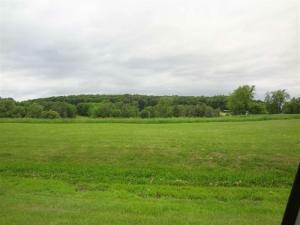 Beautiful 3.11 acre parcel across from the former Cappiello Farm. Zoned Business Highway 2 for resident and commercial use. Property survey shows stone walls and assumed test pit location. Nice sloped building lot with beautiful views. Town water, curb box installation. See Docs for Zoning uses permitted and special use permit information. 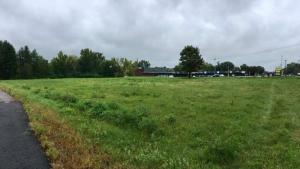 Two separate lots make up this 6.79 Acre vacant land parcel. 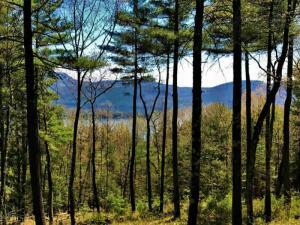 Great spot to build your dream home with Partial views of Lake George. 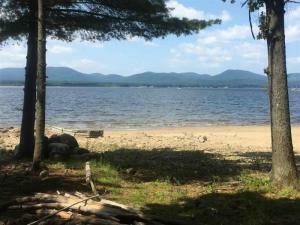 Comes with a Right of way that allows access to swim and play on Lake George. 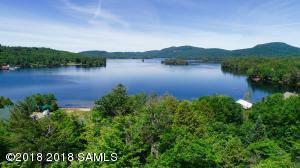 Close to village and all that Lake George has to offer!!! Beautiful prestigious site in area of quality built homes. Very private and quiet with tranquil swim pond and stream. Driveway already in to house site overlooking pond. Offered at $299,000. Listing Courtesy of: La Bella Vita Realty, Inc.
Beautiful 3.11 acre parcel across from the former Cappiello Farm. Zoned Business Highway 2 for residential and commercial use. Property survey shows stone walls and assumed test pit location. Nice sloped building lot with beautiful views. Town water, curb box installation. 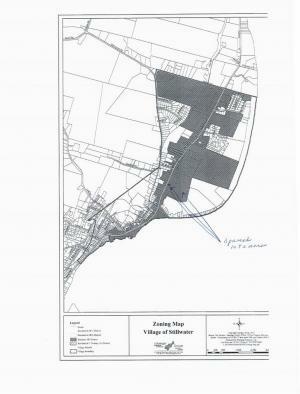 See Docs for Zoning uses-permitted and special use permit information. 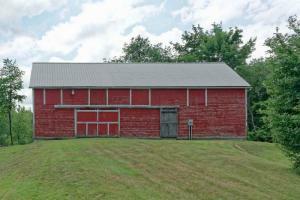 Berkshire Barn on 25 acres, mostly open fields, ideal for conversion to home and farm. 60x25 post & beam barn reinforced and placed on a concrete foundation. 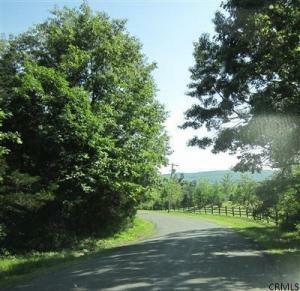 Minutes from Jiminy Peak on quiet rural, residential road. 4 acres offered for sale in a pastoral setting. What would you do with this beautiful land? Dream home? Playground for your horse? Artists come to paint and photograph it. You can own it! 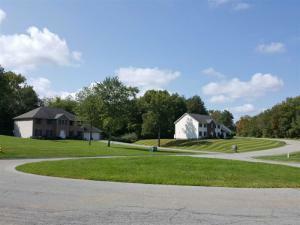 Zoned Rural Residential 1, yet less than 10 minutes to Downtown Saratoga Springs. Close to Fish Creek and Bog Meadow Brook Nature Trail. Property is not subdivided. 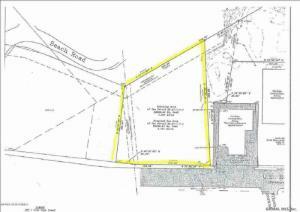 Actual acreage and boundaries may change subject to final subdivision approval which would be the responsibility of the buyer. Red Barn is included in sale! 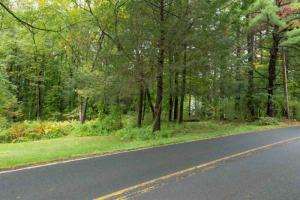 Builders take notice-perfect 4 lot subdivision, several interested buyers at 450K-500k for colonial home on 10-12 acres. 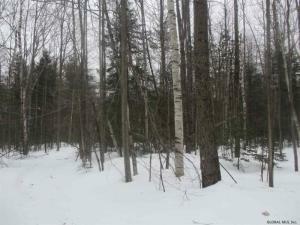 Beautiful large land tract only mins to everything, Peace and Tranquility, Very Quiet with lots of wildlife. Great for organic farm, new house construction, 4 lot subdivision, 40 unit apartment complex, estate or anything else you can dream up. Pristine setting with 3 old barns in poor condition and pond. Water avail at street. Broker Owned. Nice village location. Priced right. Public water/sewer and gas. Final map has not been filed. Maple Hill School District. National Blue Ribbon School. 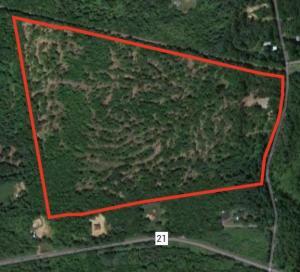 163 acres plus adjoining 312 acres available. Old farmhouse (not livable) and barn on property. Fields for grazing. Brook runs through it.